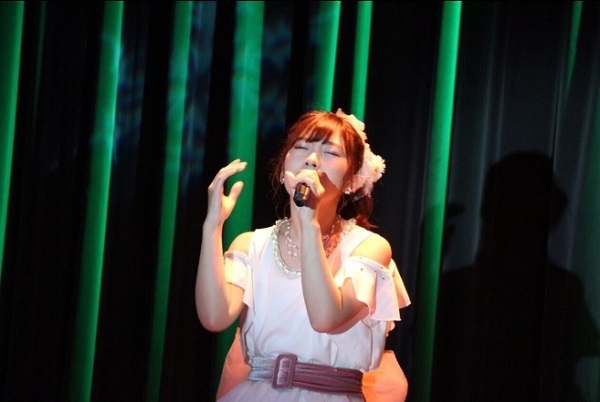 For tho who don’t know, ‘Love Live’ is Wasamin’s acoustic concert, where she strips away her Enka style and performs more as a pop artist. It is a chance for her to show off her singing versatility, which she is getting more and more proficient at doing. It is also a chance for her to show off her guitar skills, another one of her many talents that she has been diligently working on over the past years. In short, this definitely qualifies as a “must-see” event for all Wasa-faithful, the only bummer being that they do not release the show on DVD, I am guessing due to copyright issues, and she almost exclusively sings songs from other contemporary artists. The invitation to apply for the concert came via postcard, which is a new format her management has been using. 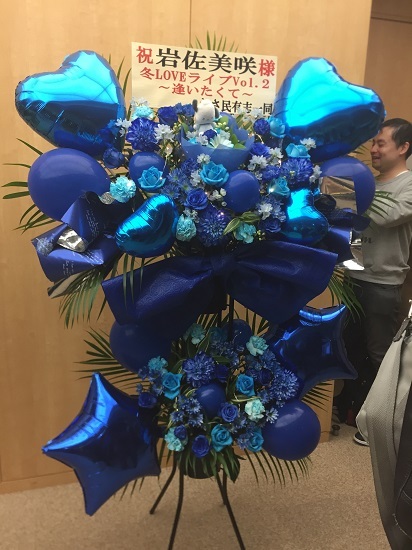 (They also did this for the Halloween Party) Fans became slightly worried when they announced early on that the ‘fan club’ sale completely sold out, almost implying that everyone didn’t win. However, they did end up doing a general sale, and after saying that the show was completely full, they announced the night before the show that ‘on the day’ tickets would be available in limited supply. I received my tickets in the mail around two weeks before the show, I had 5th row in the center aisle. Wasamin Megane Case. I also got her new buttons, which sold out a short time later. After that I queued up for CDs so I could get handshake/2-shot tickets. Lo and behold, who did I line up behind? None other than Mama-Wasa and Papa-Wasa, or as I like to call them, my “in-laws.” I find it interesting that her parents actually purchase CDs for handshake tickets, but I think they do it as more of a symbolic gesture of support. Surprisingly, they turned around and greeted me, at which point I became extremely self-conscious about the possibility of having beer-breath, LOL. BTW, the closer I am to Wasamin’s mother, the more I notice the resemblance. Fans used to say she looks like her dad, but I think she looks more like her mom. I also shared an elevator with them to the concert, which was on the top floor of the building. Just before entering I saw Wasa-manager, so I asked her if they had found any glasses at the Tokuma offices. (I lost my glasses that weekend, and am checking all possible places they could be) She told me she would check and get back to me after the show. More than half the songs on the setlist were first-time performances. 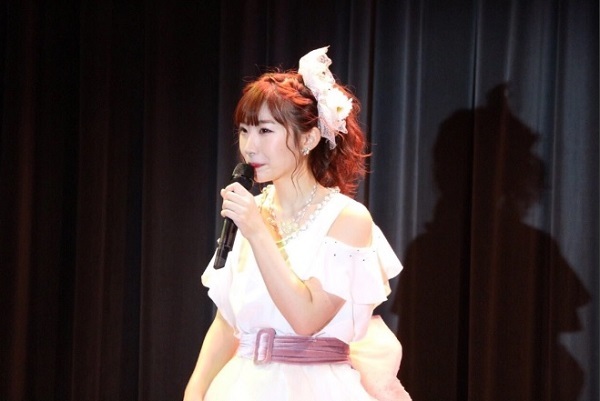 Among the interesting aspects of her MCs, Wasamin apparently loses track of the days, and kept saying it was Sunday, although it was Saturday. She was also talking about all of the benefits that are available with her single and album releases, specifically the barbecue parties, one of which I attended. Toward the end she introduced Senbei-san, who looked somewhat like an old hippie, with long grey hair. 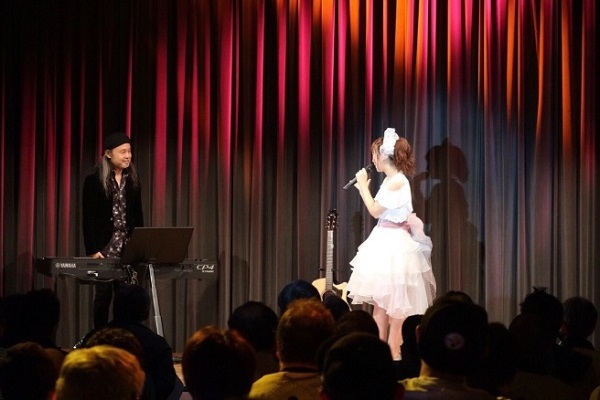 Once she introduced him the fans were doing “Senbei-san” calls, much the way we usually do them for Wasamin. I could talk about so many songs here. Shinai and Chiisana Koi no Uta (as well as Stalker no Uta) were a great showcase for Wasamin to perform almost in a rock-style. 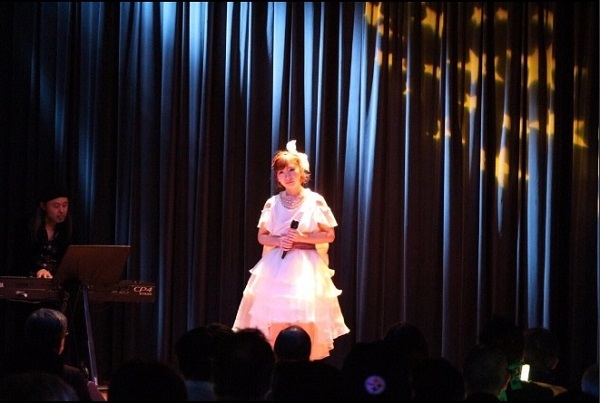 Tobacco, Aitakute Ima, and Yuki no Hana showed her softer and more nuances singing abilities. Overall it was an incredible showcase of her singing talent, and I was glad TBS was there to film all of it. The line was still huge from people re-queueing, so I decided to head back home. 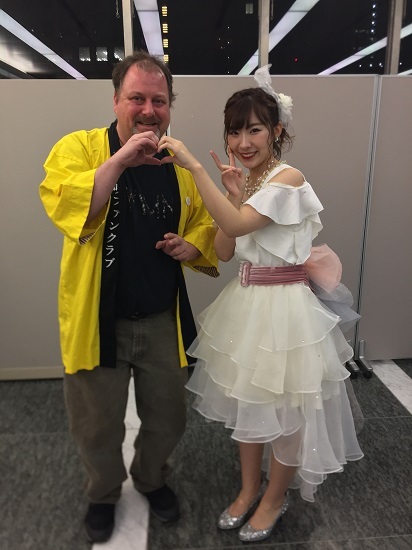 I had a lot of things I needed to do on Sunday in addition to seeing Wasamin, but the interesting story of that event will be told on my next Wasa-post. I had no idea you were a student, or actually what you do for a living other than these posts. I thought maybe you were in the radio business or such. I am waiting for that Hanako Oku number … “first Love” or “Cinderella” please. I think I would EXPLODE from happiness. The student Visa was how I made my way out here. I was in radio for along time, and then in finance for a long time. Currently I am working for a Japanese newspaper, with hopes that it becomes something permanent after I receive my degree in May.